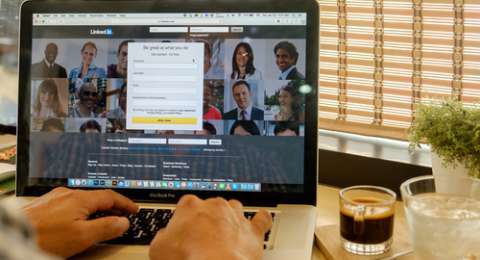 For you who are fresh graduate or looking for jobs, creating a prominent Linkedin profile can be an option to attract HRD. Not just for professionals, LinkedIn is also very useful for new graduate to get the best career opportunities. Why build a LinkedIn profile is important? This is because nine out of 10 recruiters use Linkedin as a media to find the best candidate for the company. And 75 percent of recruiters surveyed Linkedin candidates first before deciding to accept them. 1. Use your summary to show who you really are. Use your summary to introduce yourself. For that, write a summary as interesting as possible, you can describe yourself uniquely and courageously to attract the attention of HRD. 2. Add a profile photo to instantly recognize. Photo used do not need luxury, as long as you can put photo on portion. For example, you can take semi-formal selfish pictures using comfortable clothes while you work, or formal photos to look more professional. 3. Always update and stay connected with followers. Make sure you always update your LinkedIn account. Try to always post something on your LinkedIn, whether to post an article, or write about a topic you know and useful, and see how many people are viewing or even sharing your writing on their LinkedIn. 4. Show the educational background and experience you've had. Highlight your educational background and experience you'll ever have. Your educational background shows who you are and what you know. Another thing you can put on a LinkedIn profile is to make HRD interested in which achievements and certificates and what courses or organizations you follow. No need to feel inferior when you do not have any professional experience at all, because an internship experience or a volunteer can show your skills as a potential candidate. Include also other capabilities you have in a particular field. Because usually, in looking for the best candidates, each company will see the capabilities of its prospective employees first. Ability such as easy to communicate, can think critically, and can work individually or teamwork well can also be a plus in your LinkedIn profile. Similarly tips to make your LinkedIn profile interesting, make sure you have created a LinkedIn profile as well as possible, because LinkedIn can realize your dream career.